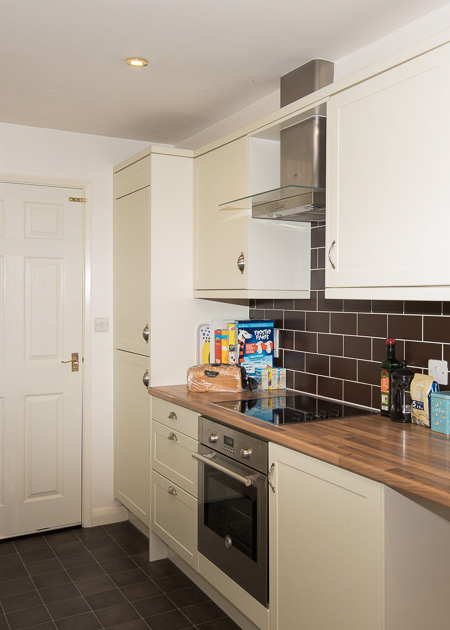 This is a short term fully furnished serviced flat. £70 per night based on weekly stays of 7 nights. Prices may vary for shorter stays please ask for quotes. 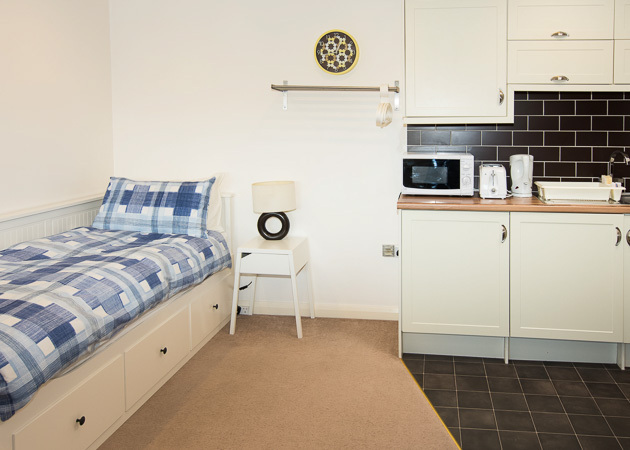 The apartment can sleep 1-3 guests, with a double bed in bedroom and an additional proper single bed in dining room area with hanging space and bedside table and storage ideal for 2 contractors sharing or a couple and a child. This is very popular with companies and many send their secondment students here. Or 2 contractors that would like to share all the amenities in separate rooms. Please see pictures above for layout. Payment by BACS in advance or cash on arrival. Adjacent to our guest house, we have a separate, fully serviced, self-contained flat. The property is a first floor single bedroom apartment, with additional sleeping in the lounge area. There is parking for a single vehicle. 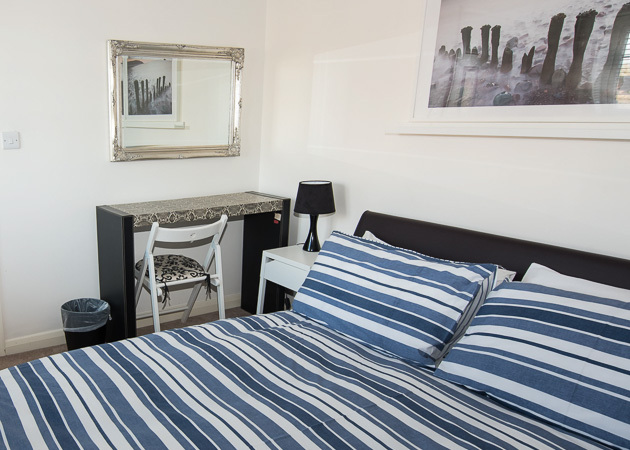 The apartment is fully serviced with clean linen and bedding and towels and a weekly clean. Everything that you need is included, just bring your cases. 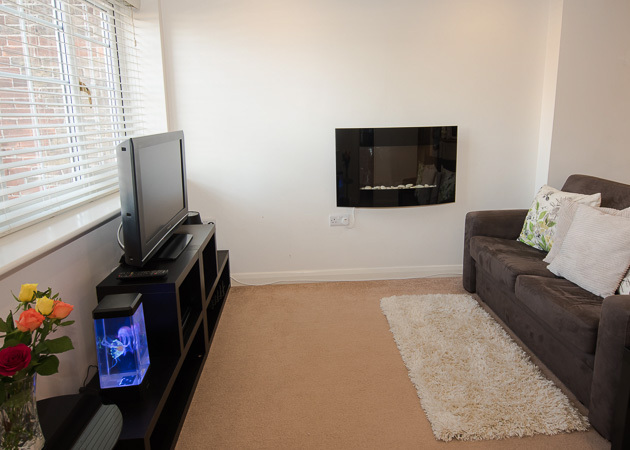 Our prices are fully inclusive of all bills, TV, DVD and WiFi Internet access. The flexible layout one bedroom with a double bed plus a single bed in the lounge works well for 2 contractors looking for short term accommodation or a company wishing to place a staff on secondment.